Months of chaos await Libya if the NATO-led operation in the country ends the rule of its embattled leader, a top American political analyst has claimed. 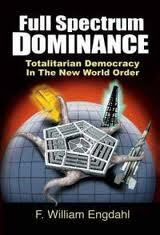 But F. William Engdahl said the illegal regime change would still suit greedy Western oil interests. He added: “What emerges from that, I think it suits some of the Western oil interests, especially the British and the French, who were fighting like piranhas over grabbing the most juicy oil fields for their own companies,” said Engdahl, author of Full Spectrum Dominance: Totalitarian Democracy in the New World Order. Engdahl said NATO’s actions in Libya have created a very virulent precedent. 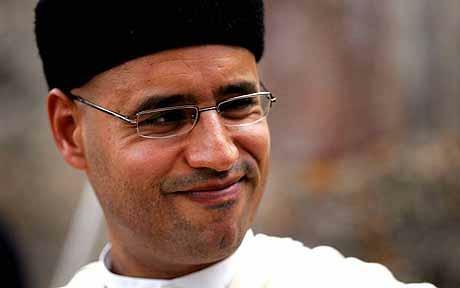 Despite claims by the rebels, repeated by the Europe-based International Criminal Court seeking his arrest, that Gaddafi's son Saif al-Islam had been captured, the defiant heir apparent turned up in Tripoli tonight to a cheering crowd, according to the BBC. * Members of the rebel National Transitional Council (NTC) in Benghazi say they plan to start work on forming a new government. They are planning to fly to the capital on Wednesday. Meanwhile, Russia remains firm in its position that it will not recognise the NTC as the sole legitimate representative group in Libya. Foreign minister Sergey Lavrov said that such a move would not help matters.